Yuriy Mynenko was born in Radomyshl, Ukraine. He studied singing under Yuriy Teterya at the Ukraine Music Academy Antonina Nezhdanova in Odessa, at first as bariton, later as countertenor. Already during that time, he participated in numerous competitions, and very successfully so. He was the first Ukraine singer and the first countertenor to reach the final in the BBC Cardiff Singer of the World competition. Later, his artistic career lead him to many a European country as well as the U.S.. He sang at the Bolschoi Theatre in Moscow, at the Nationaltheater Mannheim, at the Oper Köln, at Staatstheater Kassel, at Theater an der Wien, at the Opéra de Lausanne, at Théâtre des Champs-Élysées, at the Opéra Royal de Versailles, at the Opéra national de Lorraine Nancy, in the Concertgebouw Amsterdam, the Kennedy Center Washington, and at the Santa Fe Opera, among others. Yuriy Mynenko has been working with well-known conductors, among them Kazem Abdullah, Teodor Currentzis, Alan Curtis, Marc-André Dalbavie, Paul Daniel, Dan Ettinger, Diego Fasolis, Grant Gershon, Reinhard Goebel, Simon Halsey, Roman Kofman, Andris Nelsons, Vasily Petrenko, George Petrou, Michail Jurowski and Vladimir Jurowski. His opera repertoire contains works from the Baroque, the Classic and the Romantic periods, with roles like Xbalanque in The Indian Queen by Henry Purcell, Corrado in Griselda by Antonio Vivaldi, David in Saul by George Friderik Handel, Artaserse and Megabise in Artaserse by Leonardo da Vinci, Annio and Sesto in La clemenza di Tito by Wolfgang Amadeus Mozart, as well as Ratmir in Ruslan and Ludmila by Michail Glinka. 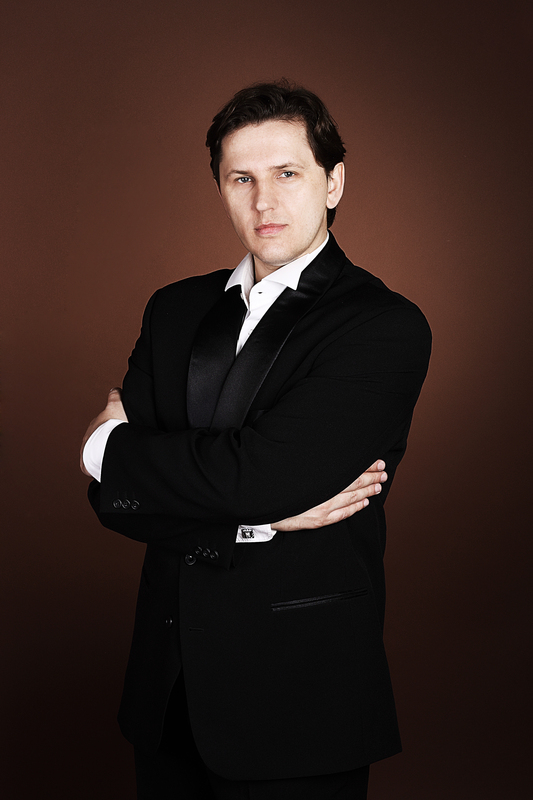 In the season 2016/17, Yuriy Mynenko sang the title role in Handel's opera Rinaldo (at Theater Chemnitz), Pergolesi's opera Adriano in Siria (at Theater an der Wien), and Lel in Snegurotschka (at the Opera de Paris). Future engagements will take the artist to the Teatro Liceu in Barcelona, to the Tchaikovsky Hall in Moscow, to the Theater an der Wien in Vienna, to the Salzburger Festspiele and to the Opera de Lausanne, where he will have his debut as Sesto. In January 2018, Yuriy Mynenko did an excellent job replacing on short notice another singer as Romeo in Zingarelli's opera Giulietta e Romeo at Theater an der Wien, a performance highly acclaimed by audience and critics alike. Yuriy Mynenko was one of five countertenors to record the 'legendary' and multiple award winning CD and DVD Artaserse (opera by Leonardo Vinci), which has been published by Virgin Classics.